WRTI 90.1 Announces: The Top 10 New Classical Releases of 2017! These performances will leave you quite breathless. 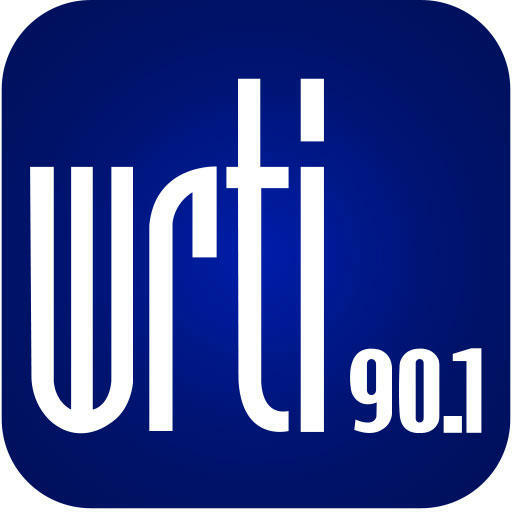 WRTI's Mark Pinto fills you in on the latest and greatest classical music recordings on (most) Saturdays at 5 pm on Classical New Releases. Here are his top 10 picks for 2017, not in any particular order. Take a look! Brahms, The Symphonies: Boston Symphony Orchestra. Oh, no—another Brahms symphony cycle? Oh yes, it's the venerable Boston Symphony under Music Director Andris Nelsons! And a more solid and convincing outing with these masterworks is hard to find. Plus, the recorded sound from Boston's Symphony Hall is simply sumptuous. Piano Music of Cuba: Alexandre Moutouzkine. The world is still discovering the musical riches of the amazingly diverse Cuban culture. The young Russian competition winner and former Astral Artist Moutouzkine showcases a surprising variety of rhythms and complex harmonies in these 18 short works by mainly 20th and 21st century Cuban composers. An enlightening and thoroughly enjoyable recording. Bel Canto Paganini: Rachel Barton Pine. This recording truly lives up to its title. As she did with her previous solo Bach disc, violinist Pine draws out the lyricism and emotion embedded in these otherwise finger-busting etudes. A remarkable achievement from one of the finest violinists out there. The Crossing's Seven Responses: Dieterich Buxtehude, Membra Jesu Nostri & Seven Responses to Buxtehude. Seven contemporary composers were commissioned to write musical responses to Buxtehude's 17th century cycle of cantatas contemplating seven parts of the crucified body of Jesus Christ. The performances, by Philadelphia's premiere contemporary choral group, The Crossing, are some of their most compelling to date, as they successfully navigate an astonishing variety of compositional styles. Pulitzer Prize-winner Caroline Shaw's tender To the Hands alone is worth the price of admission. June Concerto: Béla Fleck. You'll never crack another banjo joke again after hearing this concerto in which the banjo sounds as natural an orchestral partner as a solo piano or violin. Amazing banjo virtuoso Bela Fleck performs on his own concerto, named after his son. In the process, he elevates the banjo to heights never before experienced by an instrument traditionally associated with folk or bluegrass music. Seven Cello Concertos, Vivaldi: Handel & Haydn Society. 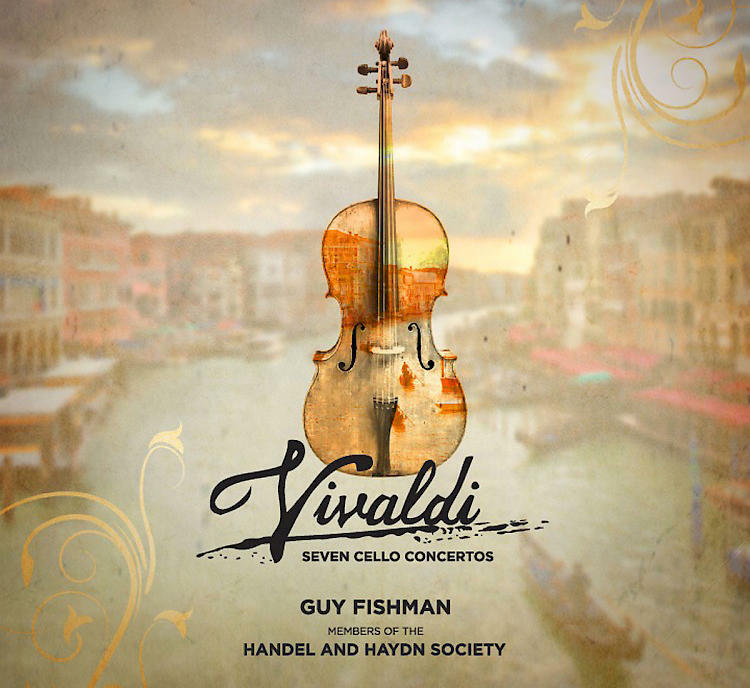 Israeli-born cellist Guy Fishman is principal cellist of Boston's Handel & Haydn Society. He makes these demanding works of Vivaldi seem effortless, summoning both fire and refinement from his instrument when called for. These performances will leave you quite breathless. Mendelssohn, Symphonies 1 to 5: Yannick Nézet-Séguin conducts Chamber Orchestra of Europe. Yannick's Midas touch with the hallmarks of the orchestral canon rings true with this release that breathes new life into the symphonies of Mendelssohn. The "Scottish" symphony, in particular, is given such airiness and buoyancy, you'll hear numerous details you never knew were there. Extremely responsive and top-notch playing by the Chamber Orchestra of Europe. 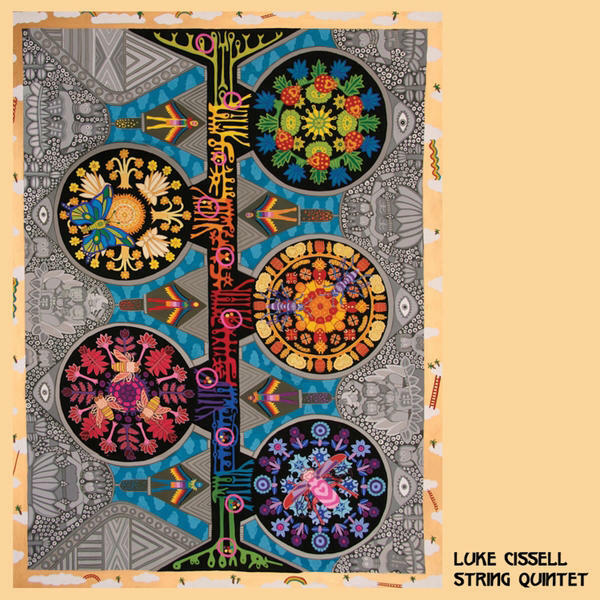 String Quintet: Luke Cissell. Released at the tail end of 2016, I have to make an exception to include this remarkable recording by the young New York City-based musician and composer Luke Cissell. Not only is this nine-movement quintet accessible and compelling music, Cissell plays all five parts on violin, viola, and cello! A former bluegrass fiddling champion as a child, Cissell has been a session musician for a variety of pop, jazz, and classical musicians, and is a teaching artist for the Very Young Composers program at the New York Philharmonic. Keep your eye (and ear) on this man! Canadian André Mathieu (1929-1968) was a prodigy, composing by age 4 and giving his first piano recital (of his own compositions!) at age 6. In 1936, the Quebec government gave him a grant to study piano, harmony and composition in Paris, where he performed to critical acclaim. In 1941, not even 12, Mathieu won first prize in a composition competition given by the New York Philharmonic. To further impress the New Yorkers, he composed his third piano concerto, which was given the subtitle "Concerto de Quebec" for its use in a Canadian film score. This big-boned Romantic concerto by the "Canadian Mozart" is a wonderful discovery, played sympathetically and heroically by French-Canadian pianist Lefevre. Monteverdi: The Other Vespers, I Fagiolini. We can't let 2017 pass without acknowledging the 450th birthday of one of the principal composers in the history of Western music. Monteverdi was a pioneer in form and melody, and particularly in the development of opera, during the Italian Renaissance. A choice selection of his sacred works, alongside those of his contemporaries, is heard in glorious and glowing performances here by British vocal ensemble I Fagiolini. The recording is structured as an authentic vespers service—with psalm settings, antiphons, etc.— a nod to Monteverdi's magnum opus of 1610, previously recorded by the group. Prepare to be transported to a higher realm!